Gloria LaRiva and Eugene Puryear are pictured on this 2 1/4 inch third party celluloid jugate. 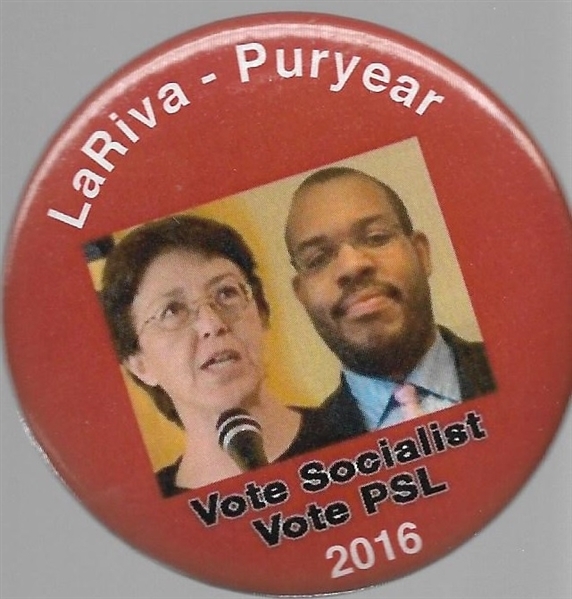 LaRive and Puryear made up the Party for Socialism and Liberation ticket in 2016. Excellent condition.